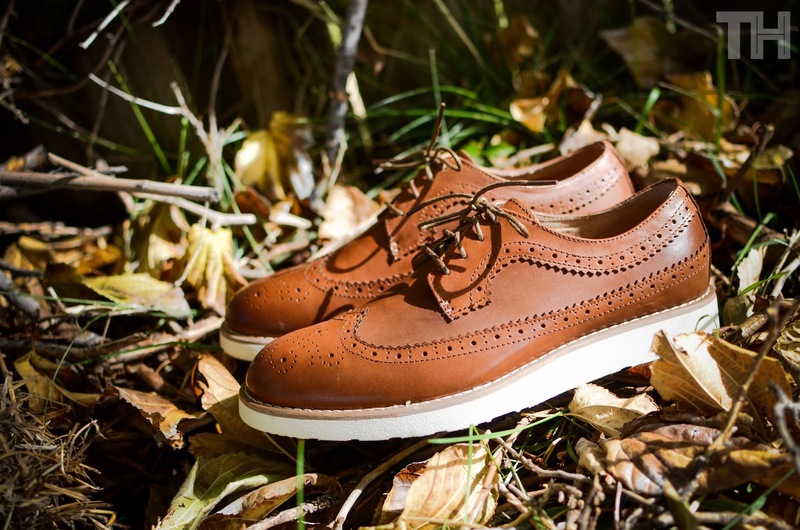 Britain based Bellfield Clothing comes correct with their latest offering from their latest Autumn/Winter 2013 Mens collection. We were lucky enough to get our hands on the Maury Leather Brogue in chocolate to bring you a detailed and up close and personal look at this cold weather staple for 2013 so make sure to continue below for the goods. 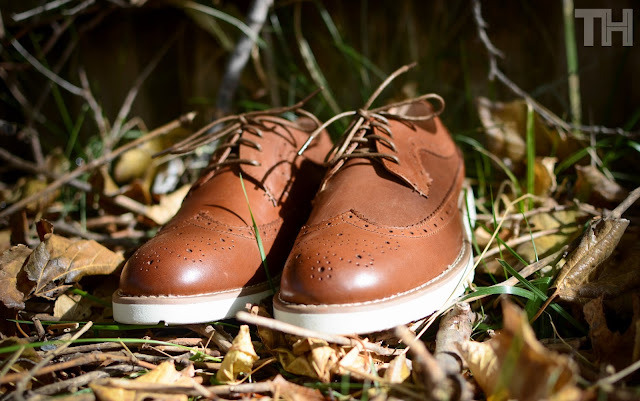 The "Maury" leather brogue casual boot/shoe hybrid is so extremely versatile and easy to wear with just about anything you throw on with it. 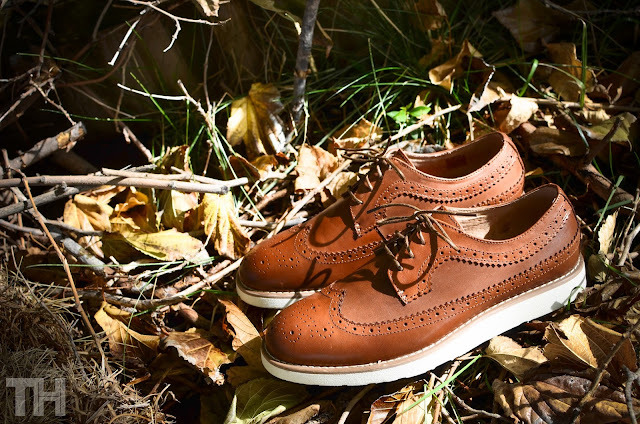 The chocolate leather upper with the eye catching wing tip detail throughout screams timeless class while the contrast white bottom boot sole makes these ideal for those crummy winter months of harsher weather. The attention to detail throughout the "Maury" really hits all the right spots with no corners cut everywhere you look inside and out. 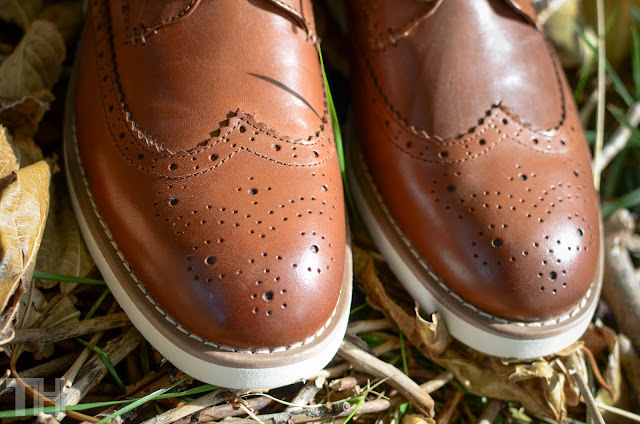 We do have to say though the wing tip upper is what really makes this specific model pop ever so slightly making it a closet staple. Comfort is just what you would look for in a shoe/boot like this with no issues even if you wanted to wear these on the daily. Extremely light considering the materials used which is always a nice thing as well. We cannot recommend the Bellfield Maury enough for just about any guy out there wanted a staple Fall/Winter Boot & Shoe hybrid for 2013. You can pick up the Bellfield Maury Brogue directly from Bellfield Here.